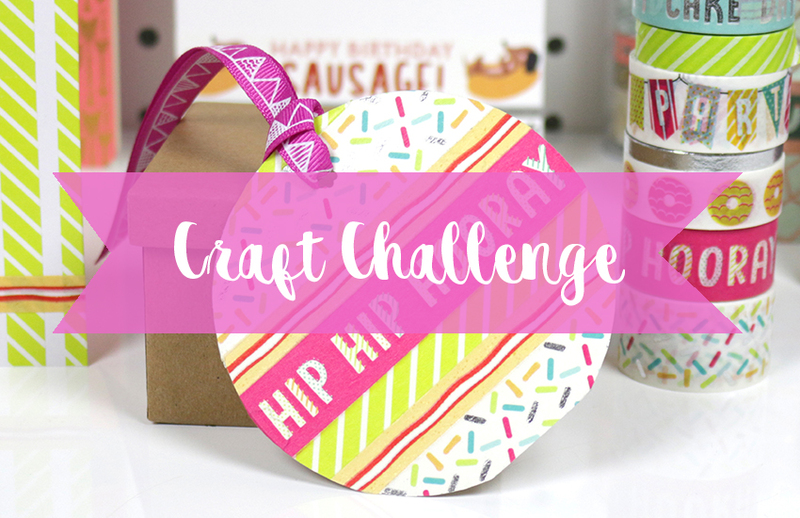 For the chance to WIN an amazing crafty prize, we’d love to see your makes that include washi tape and/or ribbons! Whether you’re a keen washi tape collector who just LOVES to use it in your craft projects, or you add ribbon to every make – we’d love to see! For this month’s Craft Challenge, we’re looking for your crafts that include ribbons, washi tape, or both! This could be a scrapbook layout, handmade card, wall art, or any other crafty project you can think of. Though this is the perfect opportunity to show off your skills, don’t worry about your skill level – whether you’re a beginner or a seasoned crafter, anyone can enter their projects! To enter, all you need to do is upload your project to the Inspiration area, adding the title ‘TC – August’ to your submission so that we can easily find it – simple! If you’ve made lots of projects in the past using ribbons or washi tape, why not upload those? And don’t worry about choosing your favourite project, you can enter as many times as you like! We’ll pick out our favourite designs and announce the winner at the beginning of September.